Normally we cap off pre-release coverage with a translator’s corner the week before release (if available), but this time, I wanted to handle things a little differently. Before introducing you to the new (or more heavily involved) characters in the second title of the series, let’s explore why this release took so long–and why it was worth the wait. Since we’re coming down to the end of what has been quite a journey, I thought I’d delve into a rather extensive write up of how I and the rest of the people who worked on this title, which originated as a fan project, got this far. If you don’t care about that sort of thing and just want to see what’s new for the official release, scroll down to the “AND NOW, THE CHANGE LOG!” header (in red). 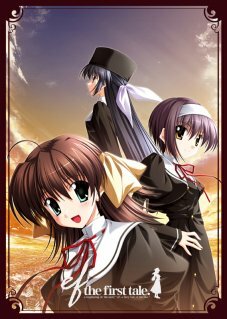 A while back now, when I was reasonably new to VNs in general, I took an interest in Shuffle! 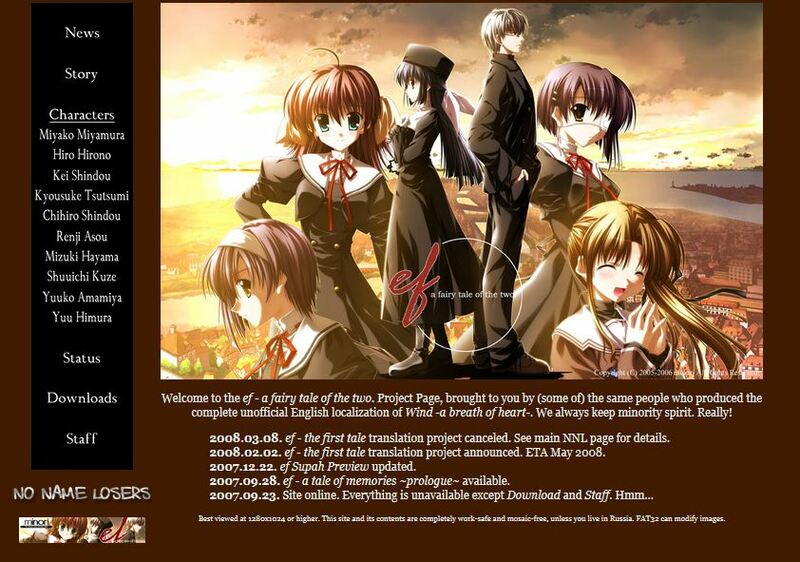 (the first VN I played all the way through, naturally, the Japanese version at the time). As this came out well before MangaGamer was founded, I at one point got involved in its now doomed fansub project by #gamepatch. (It may be a bit of fate that I eventually wound up doing Tick! Tack! and the soon to be released Really? Really! for MG.) After it became clear that project wasn’t going to pan out due to a variety of reasons I won’t get into here, I lazed around for a bit before stumbling upon NNL’s translation project for ef – the first tale. Seemingly just as quickly, they announced that the project was cancelled, and I was pretty bummed about it. Since they announced that the project might be resumed one day if a new translator stepped in, I kept an eye on it, hoping, but nobody ever stepped up. After about half a year of the project being dead, I emailed NNL myself, hoping I could at least finish Miyako’s route of first tale. A few days later (if I recall, it may have been Christmas Day of 2008, but I’ve long since lost my emails from back then) I heard back, and it seemed as if everything was a go. The only condition (which seems laughably easy in retrospect now) was that I had to keep a minimum average of 150 lines/day, and in exchange, Dave would arrange his contacts and we’d get a release out. I was pretty fresh out of high school at this point in time, so back then, it was exciting to be working on something that seemed to have a real chance of ever being appreciated by the denizens of the Internet in some small way. Of course, the project was a success and a build of just chapter 1 went up. At the time, there was a second fansub group working on a release of all of first tale (more on this later), so we decided after everything went so well to begin work on latter tale. 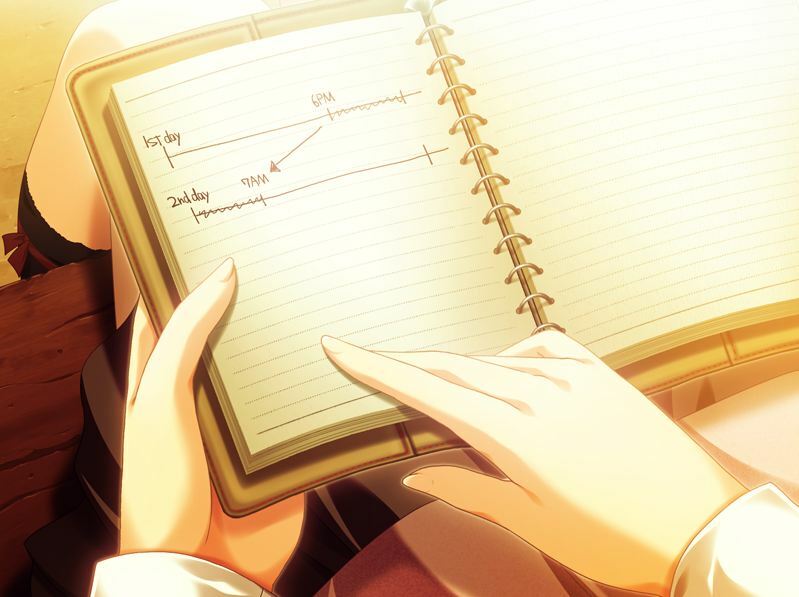 Originally, we were only going to do chapter 3 (Chihiro) and chapter 5 (Yuuko). I was going to do Chihiro because I appreciated how her VN ending was quite different from the anime adaptation’s, and Sean would do Yuuko as it was his favorite part of the game, and my finishing Miyako seemed to inspire him. And now, a random cute shot of Mizuki! This totally embodies the feel for her character, heh. 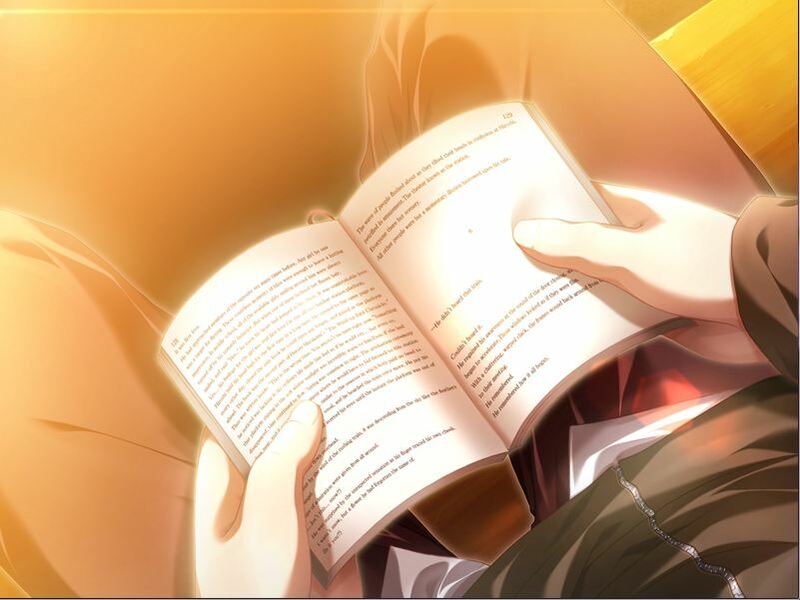 After some discussion, the other group’s translator decided to give us all the scripts he had done, which included the vast majority of Kei’s route from first tale. This was the point at which we decided to go all in, and release the complete first and latter tale. 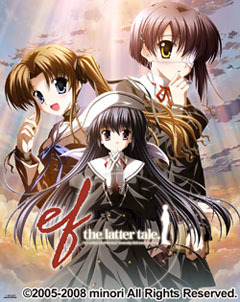 Click here for the “ef – the first tale” product page. Click here for the “ef – the latter tale” product page. Not long after, we finished the translation for the entirety of ef. There was much celebration that day! But, that was when the game entered a sort of development hell where it was tested over, and over, and over. When we got near release, our fansub group received a cease and desist letter from minori. For the next few days, we had a lot of internal discussion on how to proceed. It was definitely a huge concern, and quite the issue both ethically and legally. Looking back, it may have even been possible to contact MangaGamer at this point, but hindsight is 20/20, after all. Ultimately, we decided to release the fansub build. Whether this was right or wrong ethically is something I’m not even going to touch. Everyone is entitled to their opinion, and I don’t want the comments section to get flooded with comments about it. For a while after this, we honestly just sat back and enjoyed seeing how fans took the game. Both positive and negative comments were amusing in their own way. But, after a while, we decided to take on minori’s next title, “eden*”. Within the week after we publicly announced this and put up a webpage for it, minori sent and put up their second C&D letter publicly on their foreign-facing website. Since we’d been through this before, we had some more internal discussion. As minori had decided to go public this time around, we decided that talking to them about why we were doing what we were doing (again, ethically debatable, let’s not get into that), and sent them a heartfelt letter. I remember we spent a good couple hours collectively writing it, trying our best to show our intentions in a good light, but still not expecting the best. The response however… was honestly a shocker! Against all expectations and odds, minori got the ball rolling and contacted MangaGamer about an official release. It was at this time that Dave (and by extension I) got talking to everyone’s beloved translator: Kouryuu. After the paperwork was settled away, the partnership was announced (pretty much to universal disbelief)! But, that was only the beginning… We took this opportunity to revise and check the script all over again. While we were doing this, minori was updating their engine to support English text. Thousands of lines have been changed across both releases compared to the fansub version, among other things which I’ll discuss in the change log. Suffice to say, both sides may have been a little too focused on perfection, and as such, the releases have taken quite a long time. Nonetheless, I believe the end result will be worth every second. This release is ultimately the culmination of effort which spans across approximately 1/5 of my entire life thus far. Seeing it finally end is… exciting, but also a little sad. To all the people who have come, gone, or still work together with me and others at MG today, and who may or may not read this, I just have one final thought. No matter what terms we may have parted on, or how we feel about each other at this exact moment. Whether our last exchange was on a good note, bad note, or somewhere in between. I’ll never forget the journey here. Know that ultimately, no matter what role you had: small or large, positive or negative, you had an impact on something special. At least in my eyes. With all that said, to all the fans reading this article: even if you did play the fansub, I hope you’ll consider buying the official release. I don’t know if this will matter to some of you, but to the end, NNL did this solely as a labor of love, and received none of the proceeds. No matter how you all feel about how we acted, don’t let that influence your decision. 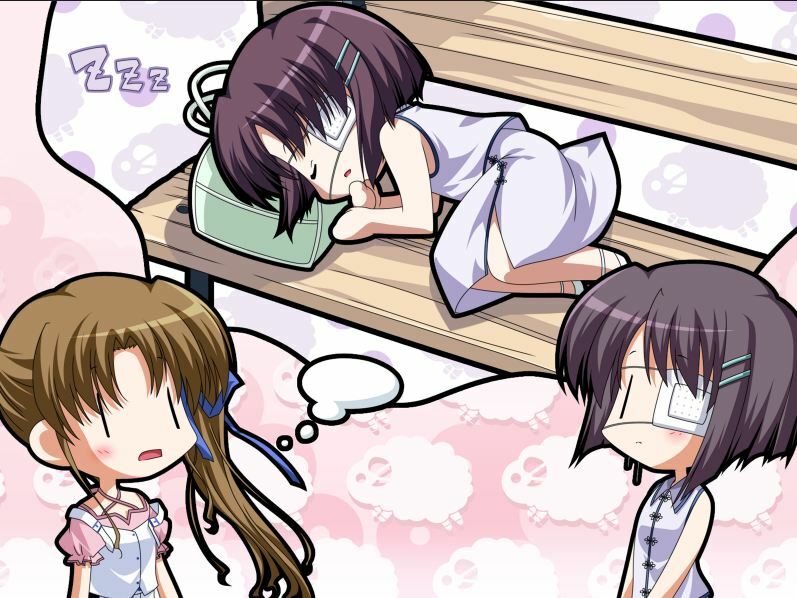 Your purchase of either ef title fully and directly supports MangaGamer and minori, period. Who knows, if they sell well enough, you may one day get the ef: Angel’s Holiday fandisc we so wanted to translate. I know I’ll be pushing for it. AND NOW, THE CHANGE LOG! So, that was a hell of a read, wasn’t it? So, what’s new in the official release, and why did it take so long? Glad you asked! As with “ef – the first tale,” the Japanese engine has been completely updated to support the official English version, bringing with it some additions to the Musica engine that were made after the original Japanese release, such as support for full screen at your native resolution with AA instead of being forced into 800×600 mode. Additionally, there is a toggle on the settings screen which will allow you to play with the speedier transitions and styling we opted for in the fansub release, or minori’s original vision. This little option you probably didn’t even notice in first tale. Like this. 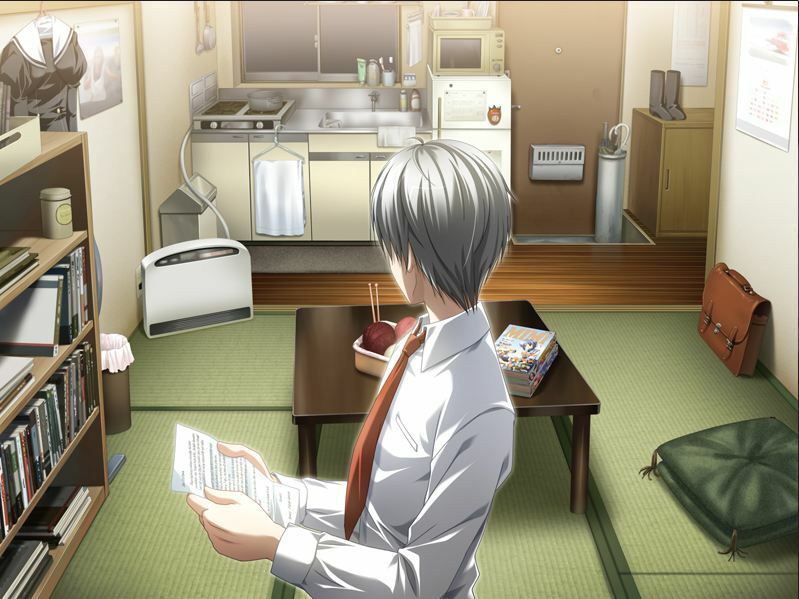 Yeah, that letter he’s holding is an actual, in-character letter relevant to the scene. And we translated it. I would argue this is one of the most ambitious English visual novel releases, and I do hope it will all make for an excellent experience. Enjoy “ef – the latter tale” when it comes out on December 20th, guys! And for maximum effect, be sure to marathon it so you can finish it by Christmas~! Great blog with some nice behind the stage information. Impressive how much heart and soul was apparently put into this project. It’s a pity that there’s no all ages version available to try to get on Steam. Sales would be much better there I think. I hope we’ll see more Minori titles in future. They have so beautiful art. Especially Natsuzora no Perseus would be nice, but I think I’d take every past ef title from them. Thanks for all the details. That was fun to read. I am amazed and very impressed with the effort to translate the images as well. Thank you for the great article and background information. I really hope this game is well support by the community. Can the internal upscaling be disabled without setting your desktop resolution to 800×600? As crazy as it may sound, I still use a Trinitron CRT on my main PC and my HTPC is hooked up to an HDTV with a surprisingly good upscaler. 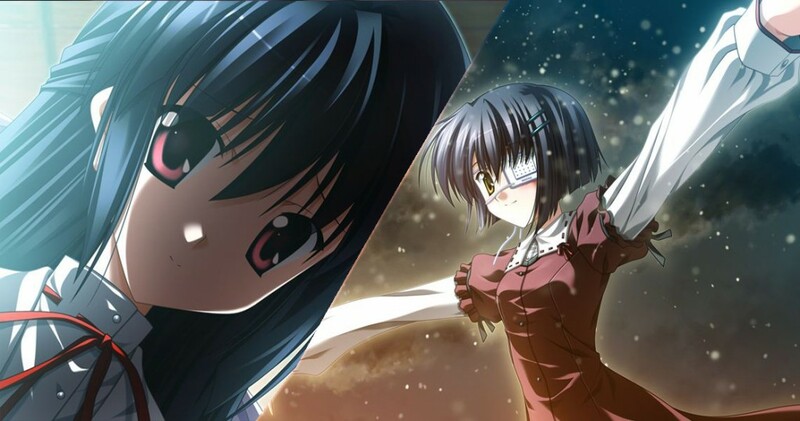 More than any other release this year I had been checking mangagamer for release details on this one almost daily when I completed Ef First Tale. I can’t wait for 20th to roll around. aww yeah, this is gonna be an amazing read for the xmas holidays, can’t wait. Just bought both tales.